Toyota said on Monday its transmission factory in northern Japan was preparing to resume production some time during the night shift, after a powerful quake halted work last week. 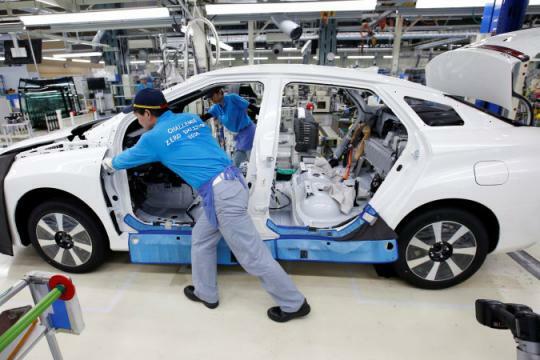 The shutdown of the transmissions factory in Tomakomai on the island of Hokkaido halted production at 16 of Toyota's 18 domestic assembly plants on Monday. Toyota said it would decide in the next few hours on production plans for Tuesday. The 6.7-magnitude quake in Hokkaido last Thursday killed dozens of people and temporarily cut off power on the island. Power was restored to Toyota's transmissions plant on Saturday and production facilities are being checked for a restart, Toyota said.